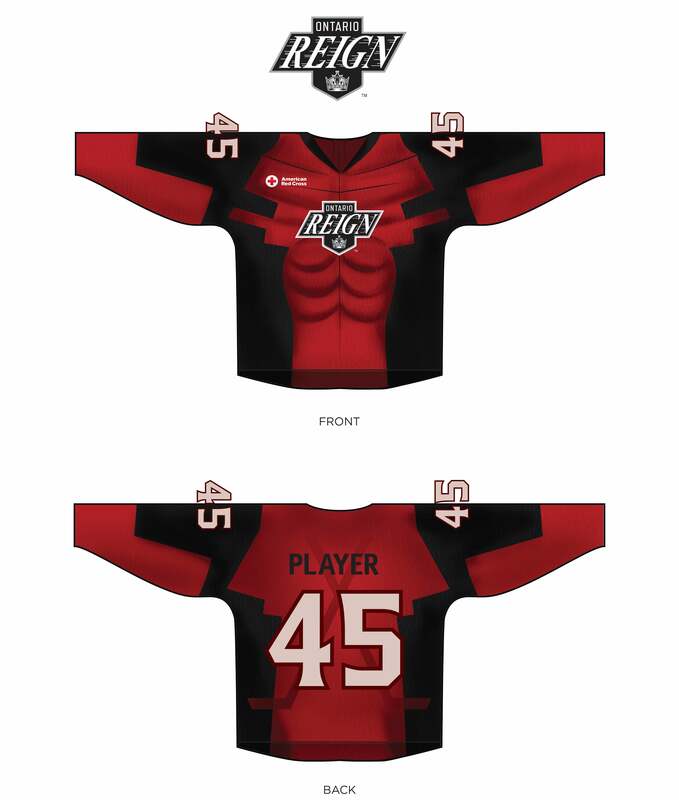 Ontario, CA (January 19, 2017) – The Ontario Reign, proud AHL affiliate of the Los Angeles Kings (NHL), unveiled their superhero jerseys for the Eighth Annual American Red Cross Day on Sunday, January 22 against the San Diego Gulls at 3:00 p.m. PT at Citizens Business Bank Arena. The Reign will wear custom superhero jerseys for this contest only and will host a live postgame jersey auction to benefit the American Red Cross. Fans can meet their favorite comic book heroes during the game and the Reign will salute several local heroes who serve the community through the American Red Cross. The American Red Cross assisting San Bernardino County is one of Southern California’s leading non-profit agencies, serving 31 cities and nearly 2 million people. More than 300 active chapter volunteers provide relief to those affected by disasters big and small. The Eighth Annual Red Cross Day is one of many outreach events highlighting the work of the Red Cross throughout San Bernardino County with thanks to our corporate sponsors San Manuel Band of Mission Indians, Southern California Edison, Circle K, Community Bank, and Sysco of Riverside, Arrowhead Water, Altura Credit Union, and JJ Roofing. Become a “Fan” of the Reign on Facebook at Facebook.com/OntarioReign, join the conversation on Twitter at Twitter.com/OntarioReign and follow them on Instagram at Instagram.com/OntarioReignHockey.